Presidential Candidate of the People’s Democratic Party, PDP has explained why he was absent at the presidential debate which was held today 19th January, 2019. 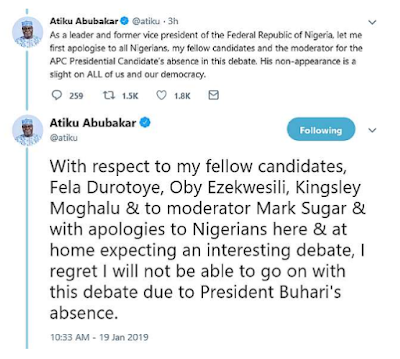 Atiku who was reported to be at the venue of the debate did not show up for Nigerians all because the incumbent President, Buhari was not available. 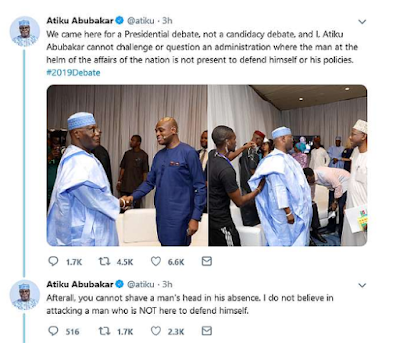 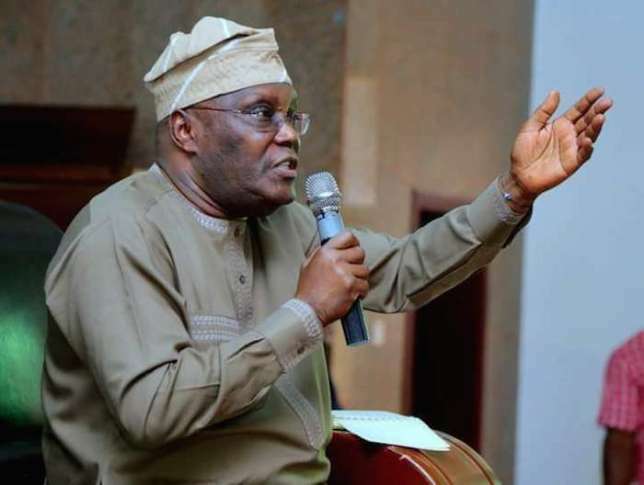 In a series of tweets, Atiku apologized to Nigerians and fellow candidates who were present at the debate while explaining the reason for his absence. Do You Think Atiku’s Reason Is Reasonable One?